Spain’s Fundación Orange (‘Orange Foundation’), the philanthropic organisation in Spain of the French multinational telecoms company Orange (formerly France Télécom), has opened nominations for its second annual Premio Mujer y Tecnología (Women and Technology Award), which honors outstanding women in the fields of technology and social innovation whose work establishes benchmarks in the use of technology for the betterment of society. 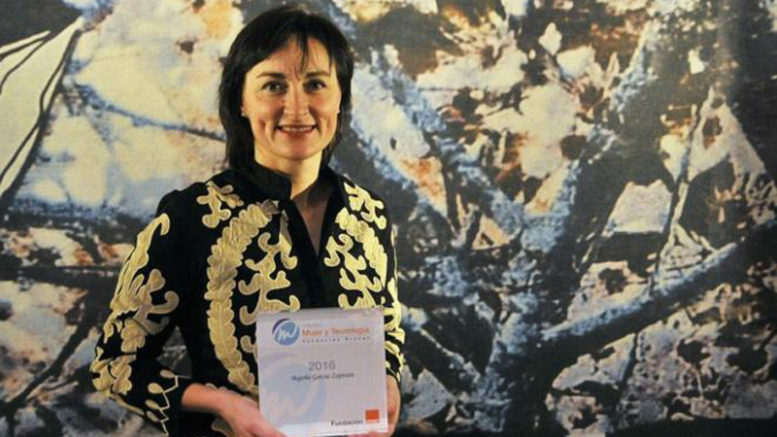 Last year’s award winner was Begoña García-Zapirain, a telecoms engineer and researcher with a PhD in artificial intelligence from the Deusto University in Spain’s Basque Country. García-Zapirain’s PhD thesis focused on helping people recovering from surgery for larynx cancer re-learn how to speak using a voice technology she developed. Her subsequent work has included the design of video-game software to help the elderly cope with aging, MRI technologies to help dyslexic children learn to read and development of an algorithmic melanoma-detection software. Nominees for the 2nd annual Premio Mujer y Tecnología, which carries with it a 4,000 euro stipend, must be women over the age of 18 who reside in Spain, with nominations made via the Fundación Orange website either by the candidates themselves or on their behalf by research institutes, university research programs or non-governmental organisations. The 2017 award will be presented to the winner at the annual Mujeres que transforman el Mundo conference in the city of Segovia.